December 15, 2008 — According to the Sudan people Liberation Movement (SPLM) official statement by Yein Mathew, the chairman of the SPLM, Salva Kiir who is the Commander-in-Chief of the Sudan People’s Liberation Army (SPLA), President of Government of South Sudan as well as Vice President of Khartoum led government, will visit the genocide stricken region of Darfur in the near future. Plans are already underway with the arranged visit of the party’s high ranking delegation―scheduled for this month―to prepare the ground for Kiir’s visit. Kiir’s visit to Darfur could not come at a worst time than when his credibility suffers and sinks to the lowest level ever. The SPLM/A chairman’s inability to impact on a resolution to the conflict in Darfur, his lack of assertive leadership at the national level, and nothing to show-off as an effective leader in South Sudan clearly diminishes the mission and whatever objectives of his visit to Darfur. Just this month, a Darfur splinter faction of Sudan Liberation Movement (SLM), announced in a press statement that it has suspended its former chairman, Abdel Shafi. He is accused of implication to have collaborated with the South Sudanese soldiers, SPLA, for the killing of Sediq Abdel Karim, the group’s chief field commander. According to the statement from the faction, in early October this year, their chief field commander, Karim had a conflict with Shafi in the Southern Sudanese city of Wau. As a result, the SPLA intervened and arrested the commander with some of his soldiers. Few days later, their corpses tragically turned up in the vicinity of the town. The group is pressing for thorough investigation on the killing. 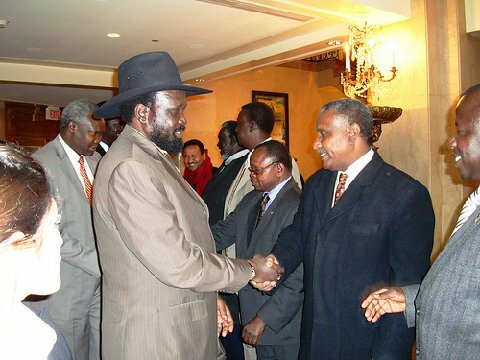 Shafi was propped-up to the chairmanship of the group in Juba under the auspices of SPLM. He is considered to be SPLM/A darling being intimately close to some of the SPLM/A top officials. Though SPLM/A promises to probe on the killing, it has already lost its neutrality and impartiality, necessary for the role of the party to play among the Darfur factions. Even prior to this incident, the SPLM/A was losing very fast the positive role it’s supposed to play among different Darfur factions. 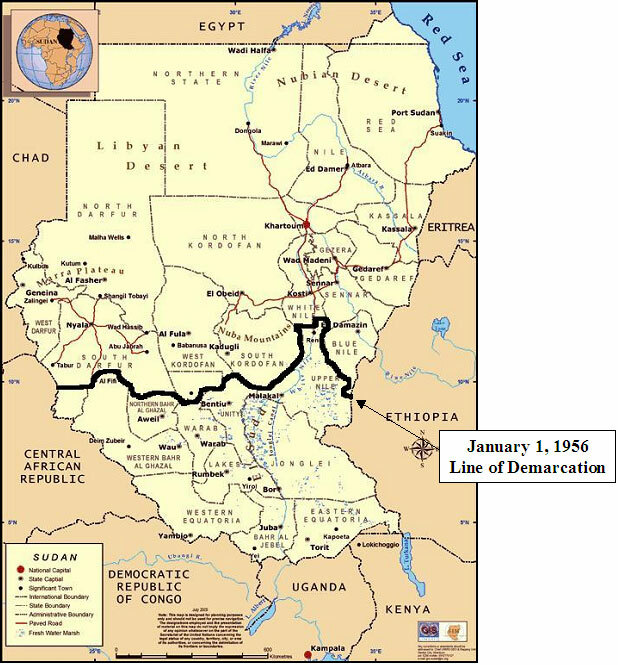 For example last year, a poorly orchestrated plan, duped as unification of Darfur movements, the SPLM/A brought to Juba from Darfur nine individuals alleged to represent nine factions from Darfur. Since then, some of those individuals ended up stranded in Juba without even logistical means to travel beyond the town. The coalition that was supposedly formed by these different factions has crumbled―with some of the individuals involved in the coalition―escaped from Juba in frustrations: that is for those who could afford logistics and means to get out of the town. For many in Darfur, the effort of SPLA in this respect is seen as negative involvements as well as fracturing Darfur movements to individual factions. Again in 2006, at a Darfur peace talks in Abuja, the movements of Darfur was exposed to the worst brunt of SPLM/A tactics. Some of SPLM/A went to the Abuja peace talks, with a false claim of experienced and being skillful in negotiations so as to assist Darfur movements achieve a peaceful settlement. Unfortunately, two of SPLM/A top officials, Dr. Lam Akol who was then Khartoum foreign minister and Dr. Lual Deng, the Khartoum minister of state for finance were accused for attempts to bribe and extort the Darfur movements leaders to sign the peace deal, even if it was not in the interest of the those leaders to have done so. In the end, only one Darfur movement, the faction of Minni Minawi obliged to sign that agreement and the rest rejected it. Though the actions of those two top SPLM/A officials were probably the bidding on behalf of the National Congress Party (NCP), the image of SPLM/A and its capacity to act positively in Darfur were diminishing gradually. The people of Darfur like the people of other Sudan’s marginalized regions have great deal of expectations and hopes from the people of South Sudan who leads the way for the liberation struggle. The liberation movements in Darfur sprung into actions by gaining their inspirations from the people of South Sudan. The Sudan People Liberation Movement/Army (SPLM/A) originated in South Sudan in the same manner the Sudan Liberation Movement/Army (SLM/A) originated in Darfur as an inspiration of SPLM/A with similar acronyms, a mirror imaging if you like. The SPLM/A ideals of freedom, equal citizenship and participatory rights, resonate very well with the people of Darfur. They feel for the most part that their dreams were finally realized when the SPLM/A became a partner in the government of Khartoum and Salva Kiir as the vice president. Despite the much talk of Sudan’s national general elections to be held next year, which is expected to transform Sudan, the people of Darfur cannot count on that as they will not have elections given the deteriorating security situation and the worsening humanitarian conditions in the region. It is worth mentioning that the prospects of Vice President Kiir’s and his SPLM/A party in the said elections are slim like that of the people of Darfur for one to count on. At a personal level, Vice President Kiir is caught in a constitutional dilemma as for his status to run in the elections. This leads the SPLM to be uncertain of who in the party will run for the presidency. The odds are stacked against the leader of the party. If he runs, the chances are that he may miserably lose and if he loses, there is no chance but for him to be jobless. He declared his nomination to run for the presidency and quickly withdrew it to avoid getting trapped. Now confused, he is hoping for miracles to rescue the situation. Many Sunday trips to the church seem to have not yielded result as of yet. Crown with the mismanagements of the affairs in the South Sudan under the rule of Kiir, the people of Darfur are not any more enthused about Kiir’s visit to their region. They expected Kiir to have visited them long time ago and champions for their cause thereafter, but it seems that this arranged visit is a little too late as the people of Darfur have already lost confidence in the SPLM/A leader. They have likely concluded that if Kiir cannot do the least in the South, how much will he do for the people of Darfur. Salva Kiir may visit Darfur, but whether he will be highly welcomed as it would have been if he visited earlier and championed for their cause, remains to be seen. At least for President Omar al-Bashir, when he visited Darfur and was faced with shortage of crowd to receive him, the civil servants were rounded up and forced to show up at his rally to portray an image that he is still popular in the region. For Salva Kiir, he has to pull something up, but we don’t know yet what that will be. Hopefully there is a Catholic church in Darfur that can draw some significant crowd since the fellow seems to have been doing pretty well with the church crowd in Juba.